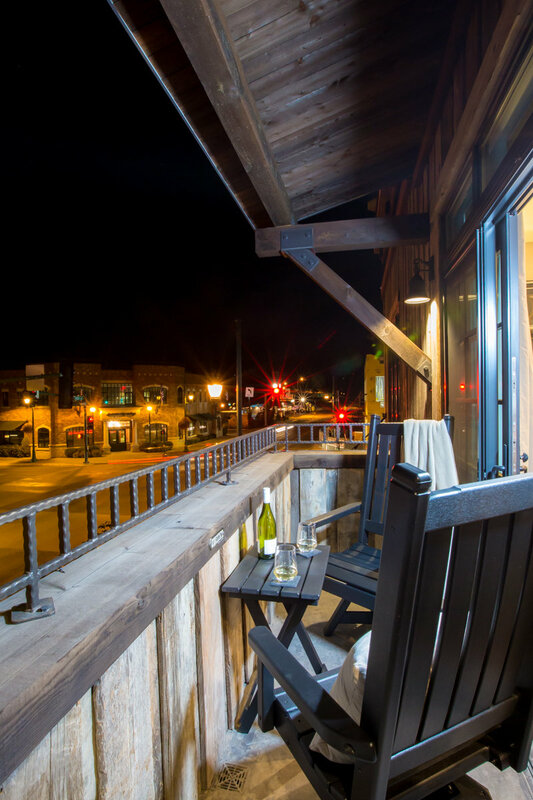 Galleries Suite 201: Is a one Bedroom suite and at six hundred and fifty five square feet of two distinct spaces for living and sleeping it is spacious and accommodating of the traveler who prefers elbow room in the Big Sky Country. Bedroom Space: The King Bed, it’s comfortable enough that you may rethink heading up the Mountain so early. It faces south if you care… but if you don’t it does face the 50” TV and fireplace which is remote controlled for that quick ambiance! 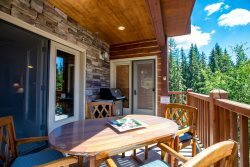 The bedroom Balcony is furnished and faces west, it holds views of The Big Mountain and hills to the west over the lake. There are twin built in closets and overhead luggage storage to get the bags off the floor. Private Secure Locker storage for Suite 201 (Lower Lobby Level) accommodates 4-6 pairs of skis or 2 golf bags and the accessories.